Anyway, it's September 1, guys - woohoo! - and the day started off GREAT! 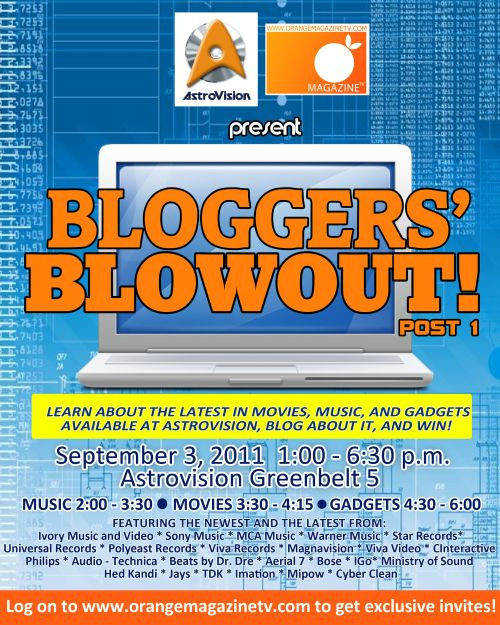 First of all, I found out this morning that I made it into the guest list for the Bloggers Blowout this Saturday - an event that I really wanted to go to. 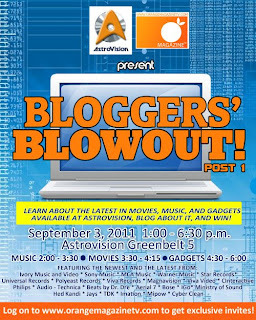 Basically, it's a special event for music bloggers, movie bloggers and gadget bloggers where we can learn the latest in our respective niche (mine's movies, in case you haven't noticed). Not everything is sunshine and daisies, though. The doctors still have no idea what's wrong with S, but have (thankfully) ruled out dengue. wow! i commend you for being invited to attend that super exclusive event..not everybody gets that opportunity.enjoy!